This term our kinder inquiry project is titled ‘What is Underneath?’ We began with a class discussion and drawing of all the things we thought might be under our skin. This was a fantastic insight into their prior knowledge. The children were most interested in bones; how they look and how they move. 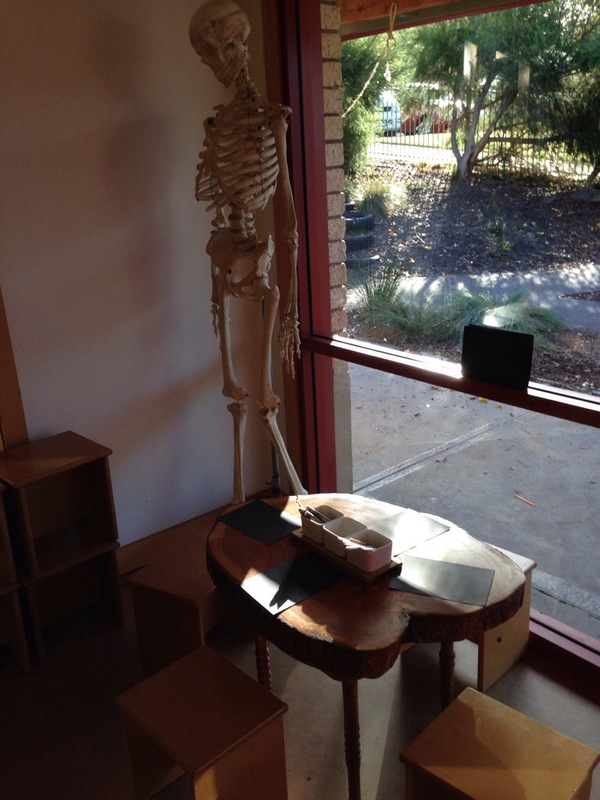 We borrowed a skeleton from our local high school, which the children named Frank, and did some amazing sketches. We used a variety of materials to create skeletons; foil, clay, pasta and collage. Some of the children finally created a beautiful wire sculpture which is hanging in our kinder. 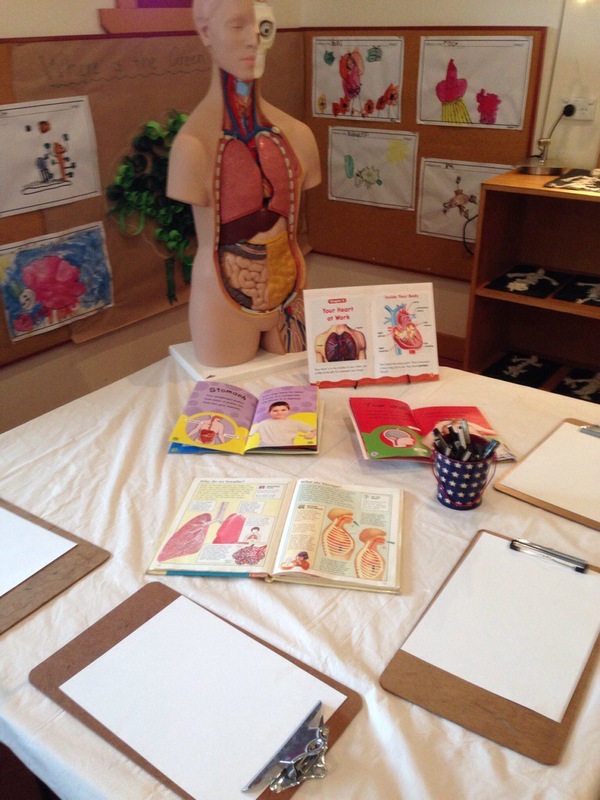 The children then began to discuss how our brains send messages to make our bodies move, and how this relies on the heart to work. We had many theories: that we have an extra bone that is sent around our body, that our legs can read or that we have a special gel that tells us what to do. This week we tried something a little out of the box! My teaching partner assured me that the kids wouldn’t freak out… Me, on the other hand, she could guarantee!! She brought in some lamb hearts for the children to look at, touch and draw. I felt a little sick touching them but, hey, I find it hard to dice chicken for dinner!! 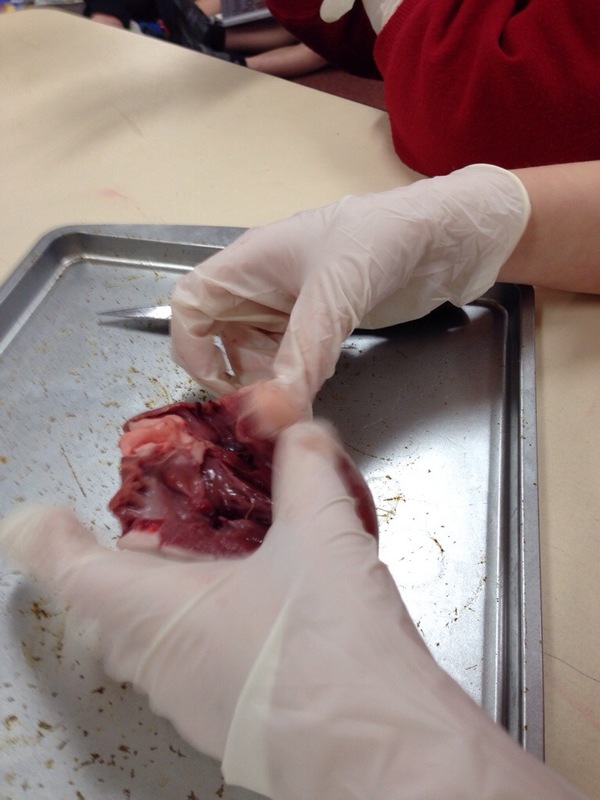 The children had no problem discussing, feeling and exploring the lamb hearts. After we had documented all of the comments they made in small groups, we came back together as a class and looked online at some heart animations. 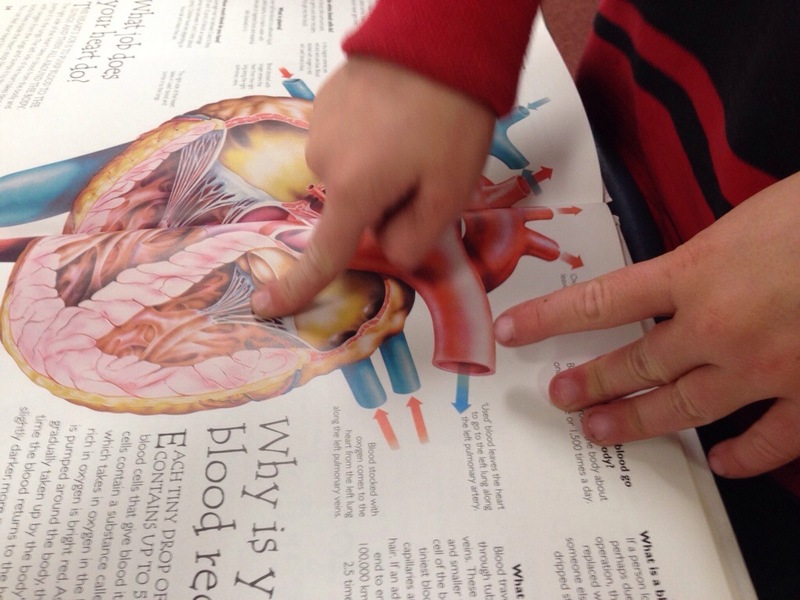 As we watched the animations we came across the sound of a heart beat. The children lay down with their hands on their hearts and listened to the beating of their own heart. Although they may look like glued together piles of junk, rest assured our students were immensely proud of their Push and Pull Machines. 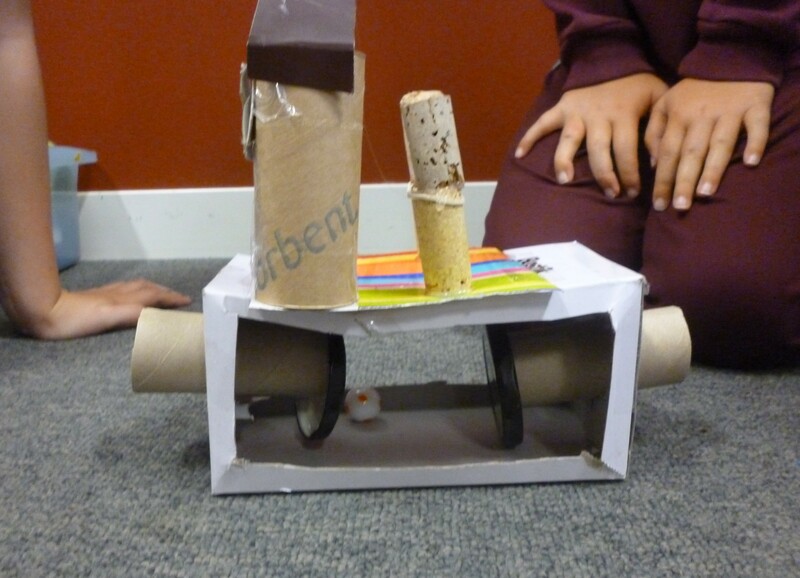 In yet another Scrapheap Challenge, this one at the commencement of our science unit on forces, students’ teamwork skills were put to the test to design a device which incorporated both a push and pull force. 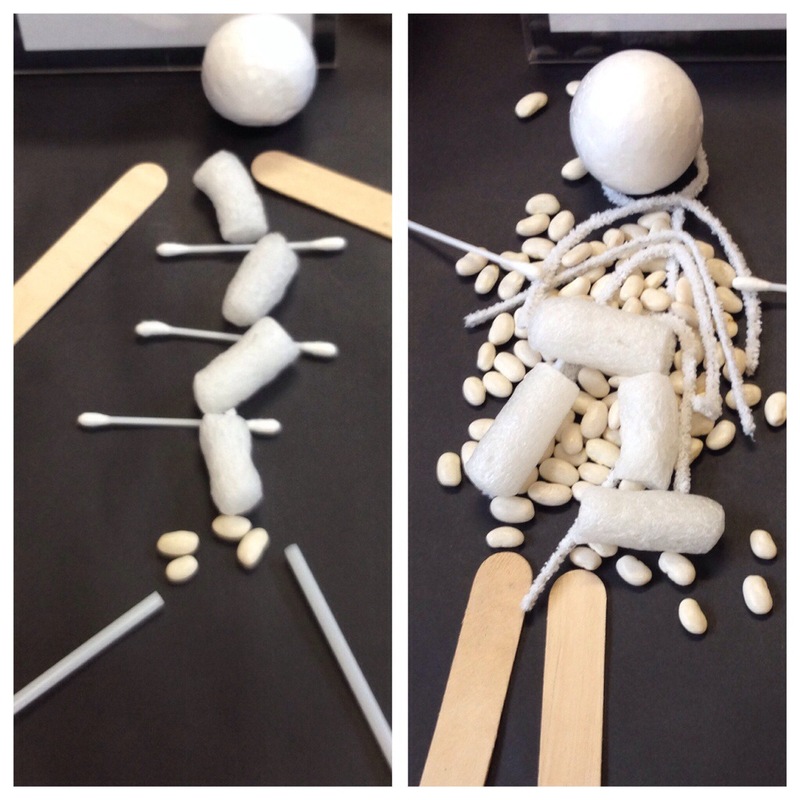 Miss M’s Grade 4 class were learning about contact and non-contact forces. As a tuning-in activity, students were given a paperclip, a magnet and a shoebox lid. Their design brief was to create a maze for their paperclip to travel through, guided by the non-contact force of the magnet. Of course, things got pretty creative straight away with water jumps, tunnels, bridges and race tracks incorporated into plans. This exploration phase of the lesson raised many questions for the budding scientists, which they later went on to test (Will the paperclip make it up the slope with a stronger magnet? Will magnetic force work in water?). They only had 20 minutes to complete the task, but they would have happily worked on their designs all day. 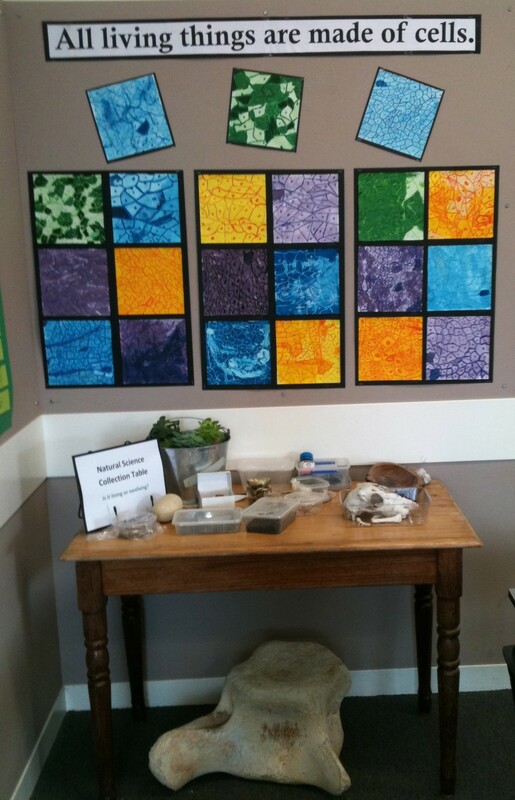 We studied the fact that all living things are made of cells. 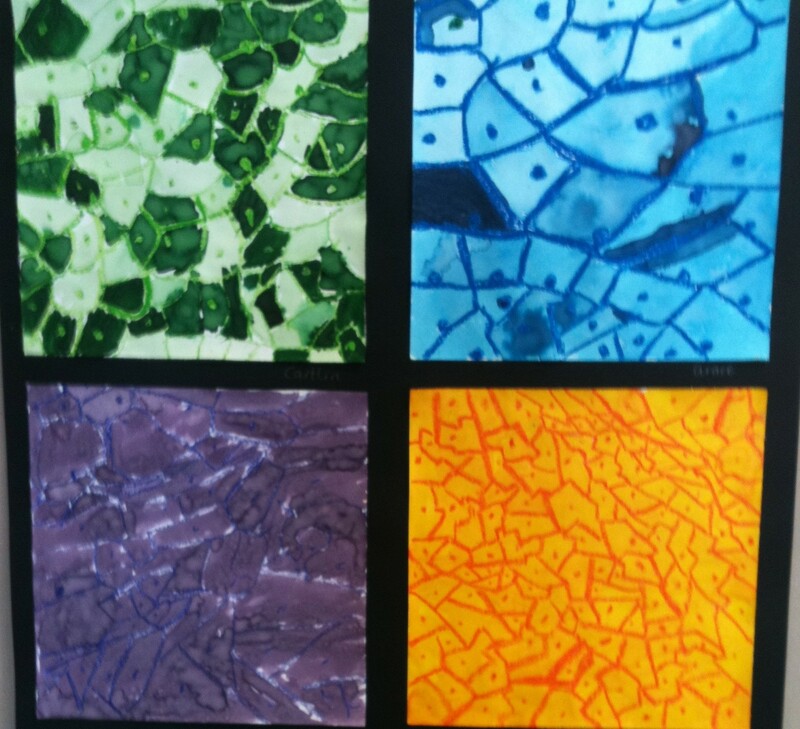 We looked at lettuce leaves under the microscope and were inspired to create crayon and dye wash artworks of their findings. The highlight of our life cycles science unit was our mini tadpole pond. Fresh lettuce was brought in each day to keep them well fed (or begged from the canteen when we forgot). We kept them for close observation until they looked ready to escape. At this point we returned them to the very pond from which they were taken. To celebrate the end of our science unit on forces we performed our own version of the Cantina scene from Star Wars. This ‘deleted scene’ focussed on Luke Skywalker’s quest for the meaning of the force with various aliens providing ‘educational’ suggestions. Of course it was an excellent opportunity for artistic set design and prop making. 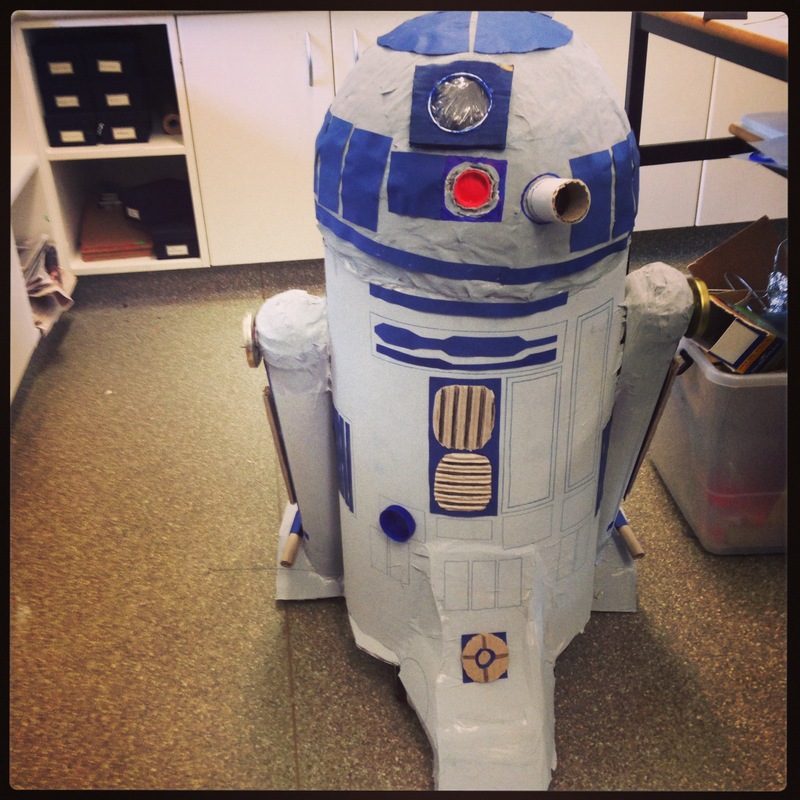 Check out this paper Chewbacca mask and fully robotic R2D2 (powered by a remote control car). All credit to Mr Jensen, another incredible prac student, and his team of diehard student helpers for the amazing R2! 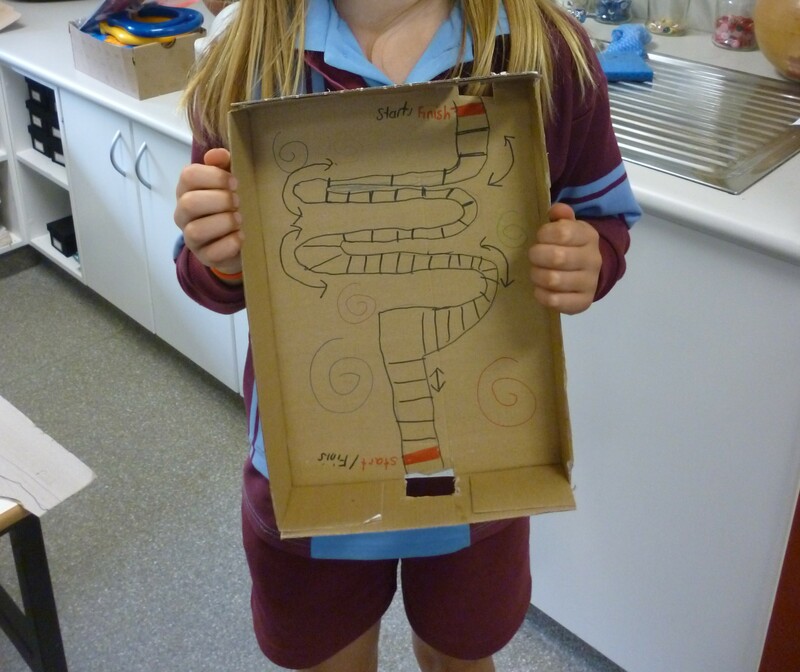 With our extremely talented, sculptor-by-trade, prac student, Miss Purcell, our students were inspired by an art table filled with colourful, cellphones, tissue papers, glitters, straws, pipe cleaners, paints and other Scrapheap materials. The base for their spring flowers was a paper plate. As part of our science unit on living things and life cycles students had learnt the parts of a flower – stamen, petals, pistil and sepal, and were asked to incorporate these features into their sculptures. Combine your science unit on living things and life cycles with that well-loved festival of new growth otherwise known as Easter. Students fill their pot with soil and grass seeds and graph the growth of their sprouts over the following days. Send home filled with mini chocolate eggs ready for the Easter break.